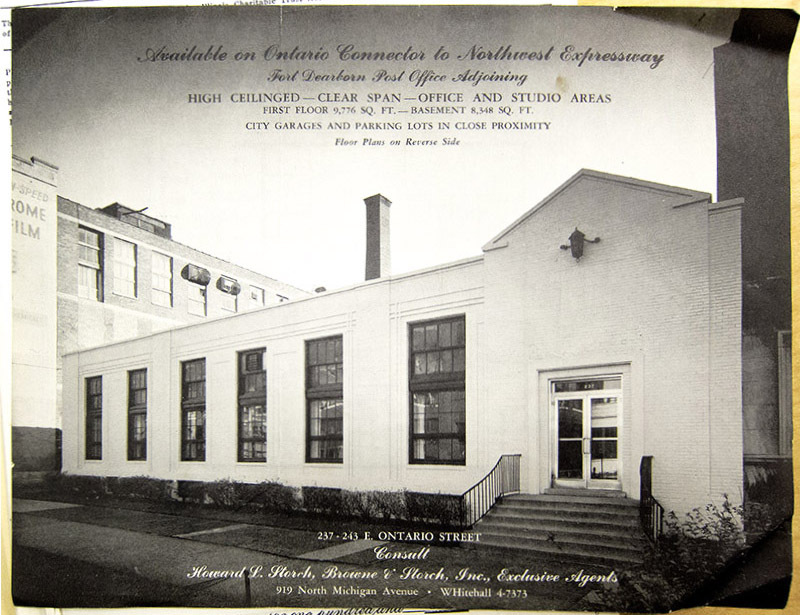 1966: real estate brochure for the building that the Museum of Contemporary Art would occupy in 1967. 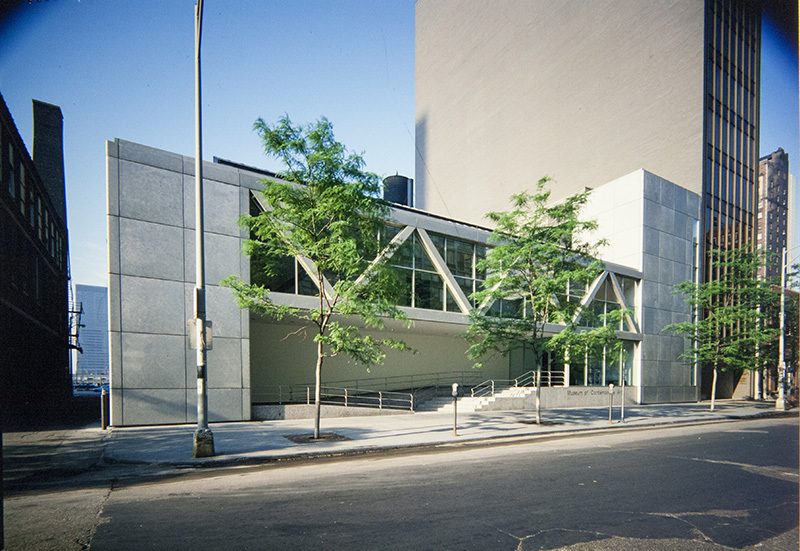 1967: The original Museum of Contemporary Art building, featuring Zoltan Kemeny's 50-foot long bronze relief. 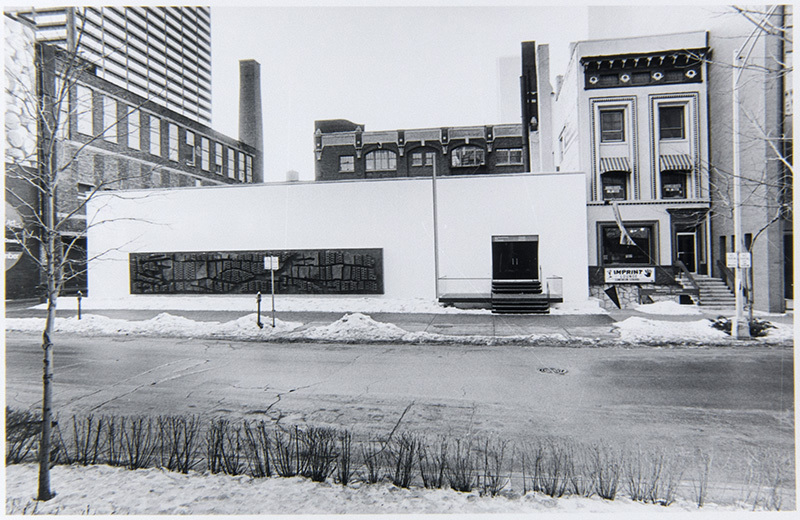 1980: Museum of Contemporary Art after the acquisition and adaptation of the 235 E. Ontario Street building.